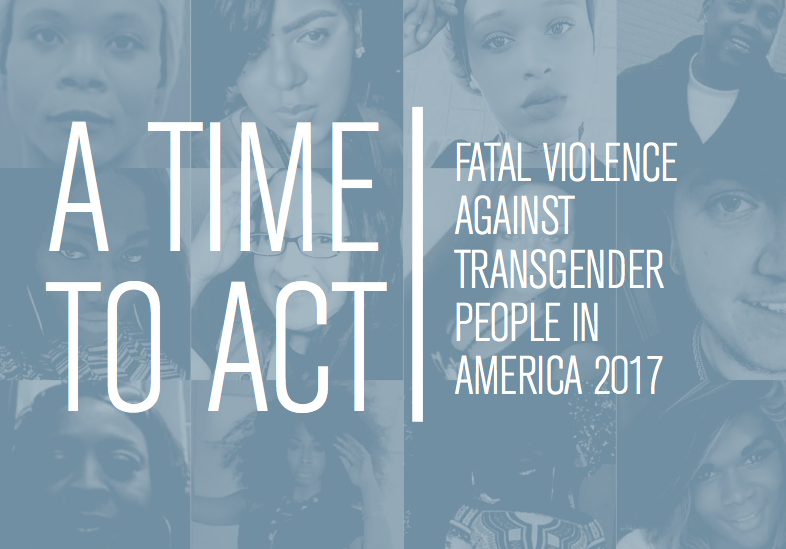 The HRC Foundation and the Trans People of Color Coalition (TPOCC) released A Time to Act: Fatal Violence Against Transgender People in America in 2017, a heartbreaking report documenting the often deadly violence faced by transgender people, and exploring factors that have made this year the deadliest on record for the transgender community. The report comes in advance of Monday’s Transgender Day of Remembrance, which honors transgender people who lost their lives during the previous year, and amidst reports of a surge in hate-based violence and harassment, that began during Donald Trump’s campaign, and continues under the Trump-Pence administration. Since the election of Donald Trump and Mike Pence, there has been a notable increase in the vitriol and anti-transgender rhetoric — from the top levels of government down through the rest of American society. Seventy percent of respondents to HRC’s post-2016 election youth survey reported witnessing bullying and harassment during or since the 2016 election, and almost half of LGBTQ youth said they have taken steps to hide who they are since the election. FBI data released earlier this week recorded an overall increase in hate crimes in 2016, including a rise in bias-motivated violence based on gender identity and sexual orientation. The release of A Time to Act: Fatal Violence Against Transgender People in America 2017 marks the conclusion of HRC’s commemoration of Transgender Awareness Week, which is dedicated to the progress and unfinished work in the fight for transgender equality. Earlier this week, HRC announced that more than 1,400 parents of transgender young people have signed a National Declaration of Rights in response to continued attacks on transgender equality. Throughout the week, HRC has been highlighting areas of focus and continued challenges for the transgender community, from workplace equality to access to inclusive and respectful health care. On Monday, transgender people and their allies will gather in communities across the country to mark Transgender Day of Remembrance. For more information on Transgender Awareness Week and HRC’s work on transgender equality, visit: http://www.hrc.org/explore/topic/transgender.